Karol Mello, an alleged crime boss in Central Europe’s underworld, wanted in Slovakia for a series of crimes he reportedly orchestrated, including the slaughter of a mother and son in a botched hit, is tonight a free man after being granted Supreme Court bail by Justice Denis Hanomansingh. 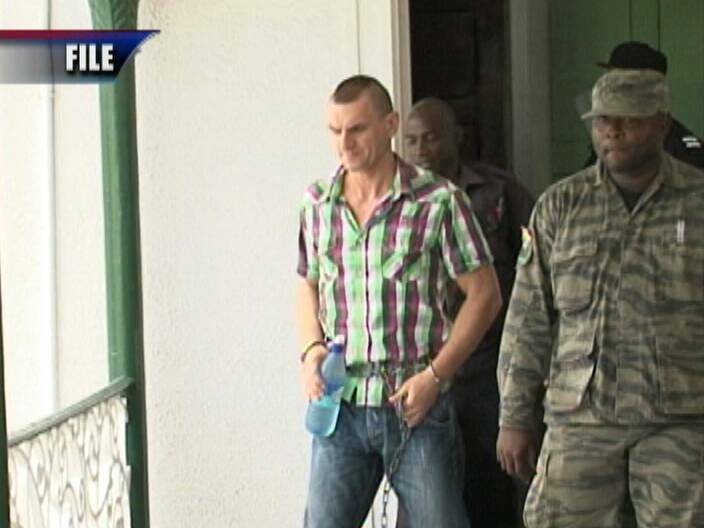 The forty-two year old broker, who was in detention for over a month, was arraigned on perjury and other immigration offences immediately following a decision by Justice Oswell Legall, who ordered Mello’s release from the Belize Central Prison last Friday. 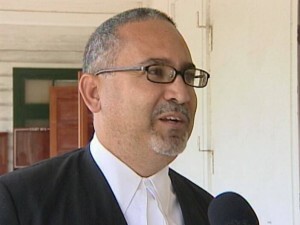 Those charges, described by Senior Counsel Andrew Marshalleck as frivolous, were filed in the Cayo Judicial District where Mello purportedly committed the offences. 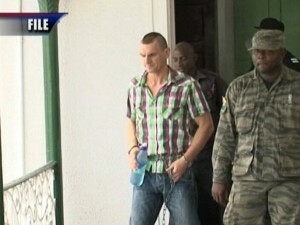 According to Marshalleck, the allegations were brought against Mello in a last minute attempt by the Government of Belize to keep him in custody while efforts were being made to expel him from the country in the absence of an extradition treaty with Slovakia. While Mello was able to meet bail in the sum of ten thousand dollars, he is scheduled to appear in the Belmopan Magistrates Court on Monday to answer to the charges. Marshalleck, following today’s bail hearing, told the media that the time during which the charges could have been levied has long since expired. Karol Mello is being represented by Senior Counsel Godfrey Smith on whose behalf Senior Counsel Andrew Marshalleck appeared during his absence. You nailed that, Interpol and the country of Slovakia, just frivolous murder charges. Mello, your purchase of Belizean citizenship, good investment, you got a new country that puts things into perspective. That means , Dean Barow still looking for ways to extort money from Mr. Melo, wheather he is a convict or not , it does not matter to Dean Barrow, what matters, how much money they can flees from him , before deporting him. Poor Melo, you came to the wrong place to do business, Belize is a ! @#$ hole infested with Dean Barrow and his ontorage. Sheeple = people that behave like sheep, a coward. Where are my sheeple? All the ! @#$%^&* and hollering, people have been doing about Mello were bleats of sheeple. I said many times. Mello walks free. I rest my case. All of you guys were right he got out!! Just in time for the San Juaquin fiesta.